If you live in Virginia you can click on this image below to figure your subsidy. If you get a subsidy you will need help to process your application. Once you determine your subsidy you will have to visit Help Me Get My Health Insurance Plan. If you are low income, under $230 a week, click here to see some options. *All assistance provided is no cost to you. 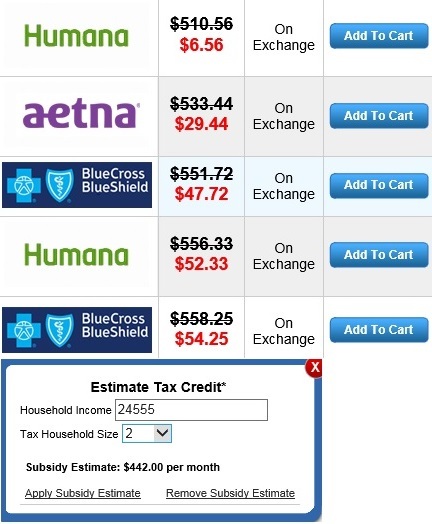 Purchasing a plan through Obamacare / the Federal Exchange is not the best option for everyone. A Health Insurance Plan Comparison and Consultation will be the best way for individuals and families to find affordable Virginia health insurance and see all their options. NOTICE: It is important to understand the ACA eliminates medical underwriting. A person’s height and weight or pre-existing conditions do not affect one’s Virginia health insurance premium. The quickest way to obtain coverage is to: Schedule a Time to Submit your Application or View All Plans Online . *Our Federally Facilitated MarketPlace Agents provide free guidance. Attention: This website is operated by Application For Obamacare and is not the Health Insurance Marketplace website. In offering this website, Application For Obamacare is required to comply with all applicable federal laws, including the standards established under 45 CFR 155.220(c) and (d) and standards established under 45 CFR 155.260 to protect the privacy and security of personally identifiable information. This website may not display all data on Qualified Health Plans being offered in your state through the Health Insurance Marketplace website. To see all available data on Qualified Health Plan options in your state, go to the Health Insurance Marketplace website at HealthCare.gov.